If your company could be classified as a type of boat, what would it be? An inflatable kayak (the idea on the back of a napkin), a row boat (startup), or perhaps a speedboat (growth stage)? 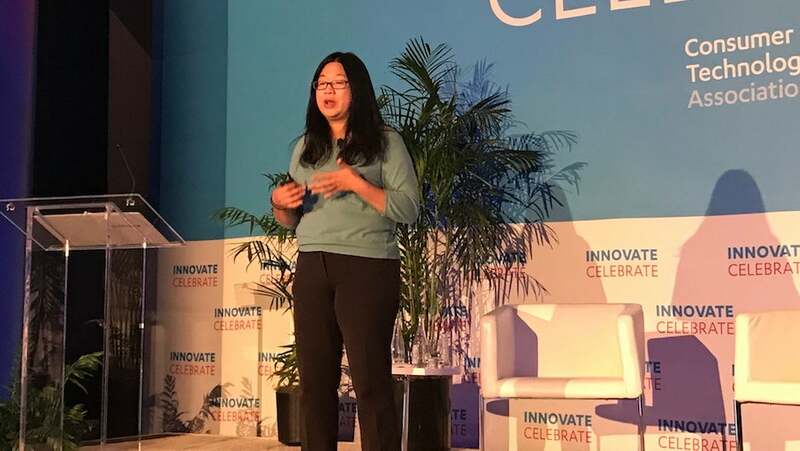 Today at Innovate Celebrate, that’s exactly what Holly Liu, Cofounder and Chief of Staff at Kabam, discussed, along with the importance of innovation, regardless of what stage you’re in. To kick things off, she brought things back down to reality regarding how and why startups are more better positioned to focus in on innovation. At first, with little to no traction, there are of course areas of risk intertwined into the core of the business, but ultimately are you able to quickly fail, iterate, and shift your focus without creating large ripple effects. Obviously for larger businesses, even the smallest change can create waves for their users and customers. Therein lies the conundrum. At first, the world is the ocean, your startup will feel every bump and shift in wind, allowing you to more easily adjust accordingly. However, later on you become more like the ocean or in Liu’s terms, a large yacht or cruise ship. Innovation is slowed or at a full stop because things are working, you’re cruising along, and the current can’t stop you now. So how does a company, beyond the startup stage, still focus on innovation? At the rowboat or startup phase, Liu suggests these innovation arms should work in stealth mode. On top of this, the stealth team should focus on the user or end-users, and not the executives who have to buy into it. “What is successful should be user-centric and not executive-centric,” said Liu. Then, once they’ve started to gain some traction, the business will enter the growth phase, or akin to a speed boat. When this occurs, not only do people (users) start to care about you, organizationally there is a greater effort to row, row row… or continue to chase after your building traction. This is when your team expands, bringing in product and marketing leaders, and more and more people start to learn about your business. This in turn will raise the eyebrows of competition. According to Liu, this is when innovation is most likely to stop as it becomes a battle to grab as many users as possible. Fortunately for many businesses this competition also can be a point of fuel for innovation, which can be seen in countless product battles from the likes of Facebook and Snapchat, down to something simple like MP3s and Minidisc players. I have a feeling you know which one won there. From there, it’s a shift from scalability into consistency. Innovation may have died, but the team is growing larger than ever. From here, innovation will come from many places, but more so in the diversity and various different personalities that are added to the business. So, how do you keep innovation alive? “You get a fleet of rowboats, going at the pace of a speed boat, and that can have the capacity to hold the capacity of a yacht cruise ship,” said Liu.